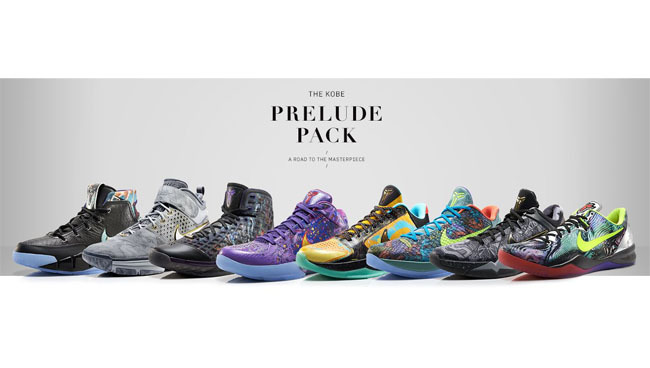 Take a detailed look at the entire eight-shoe pack inside. 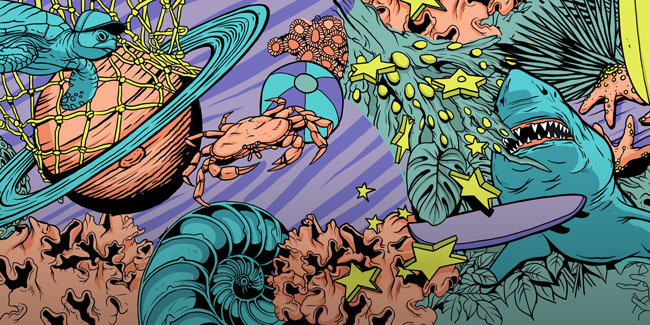 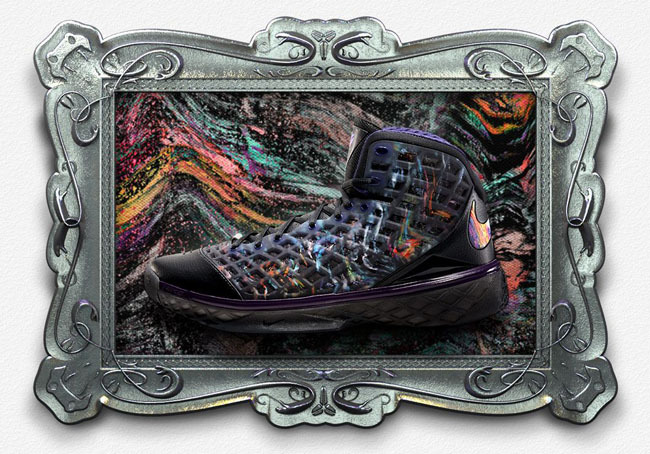 The road to the Kobe 9 Elite is being honored through this special pack, which, through art, honors the history of Kobe's Nike line, and his many accomplishments while wearing it. 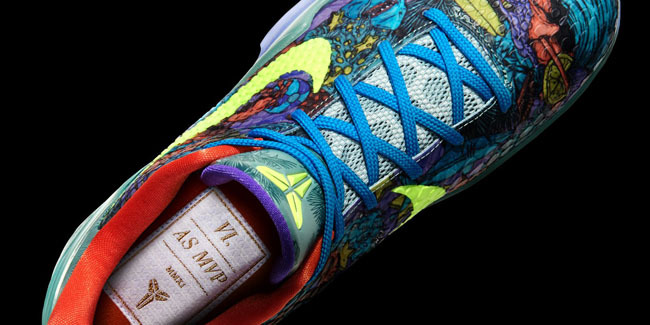 In the following pages, take a closer look at each shoe in the pack, the events that occured in it, and the artwork that it incorporates. 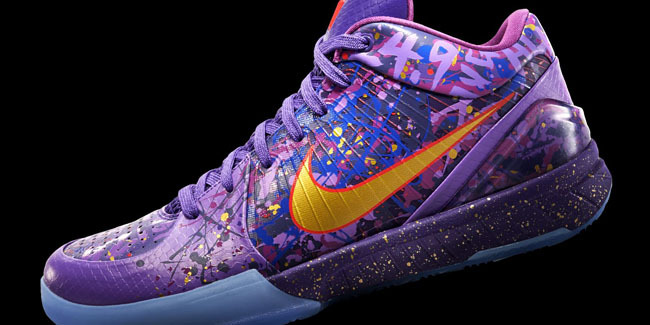 Kobe's legendary 81-point game serves as inspiration for the Kobe Prelude I. 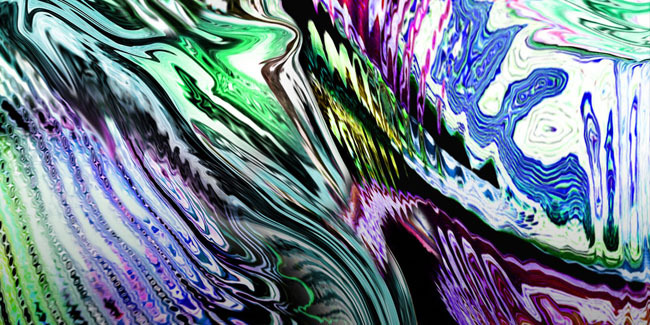 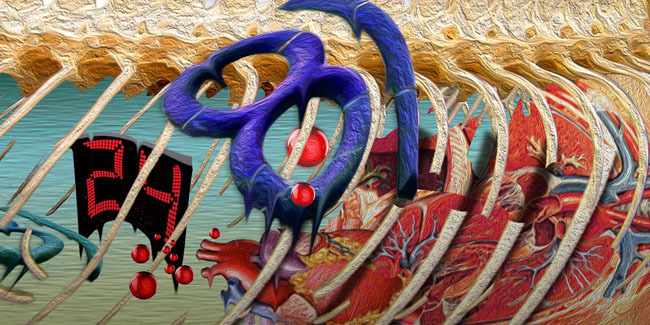 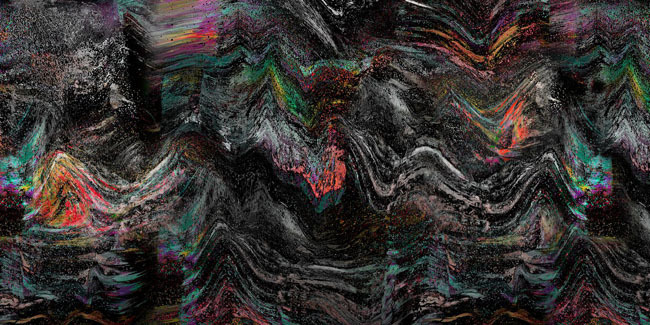 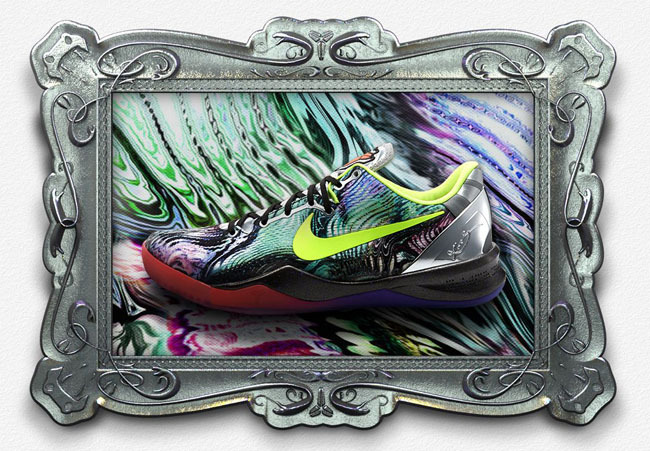 "THE MAMBA’S SURREAL SCORING INSPIRED A SURREALISTIC PIECE THAT GOES INSIDE THE DEADLIEST PREDATOR ON THE PLANET." 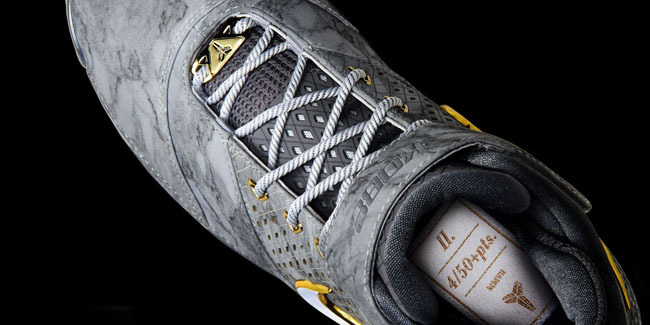 The Kobe Prelude II was inspired by Kobe's four 50+ scoring games. 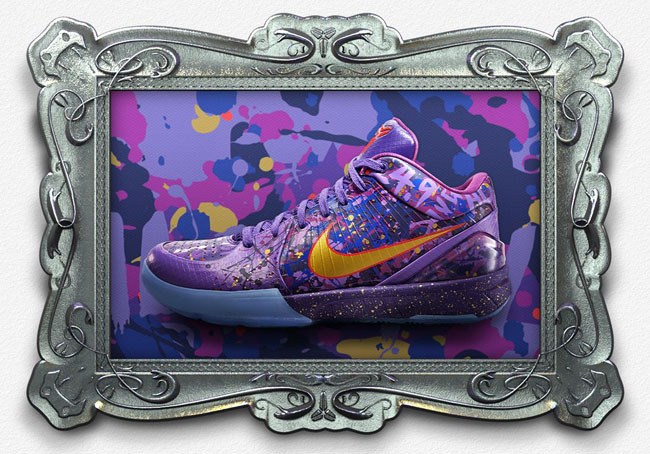 "THE RENNAISSANCE: A REFINED JUMP SHOT CARVED OUT A NEW PLACE IN HISTORY FOR KOBE AND IS REVIVED IN A CLASSICAL MARBLE TREATMENT." 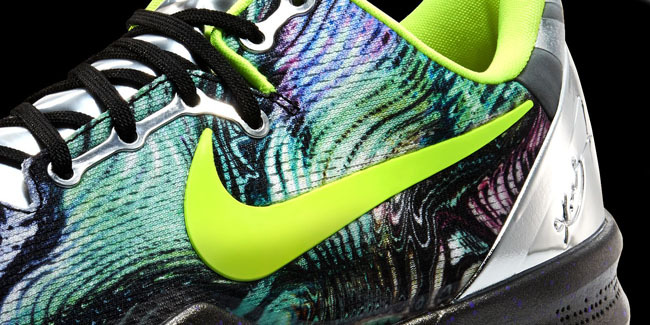 A lost Championship to the Boston Celtics serves inspiration behind the Kobe Prelude III. 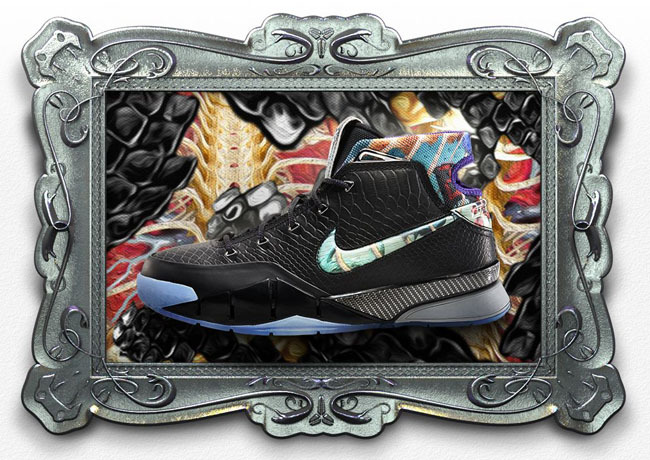 "FURY IN FRESCO: THE MISERY OF A LOST CHAMPIONSHIP WAS PUT INTO BRUSHSTROKES WITH THE FRESCO THAT TAKES OVER THE KOBE PRELUDE 3." 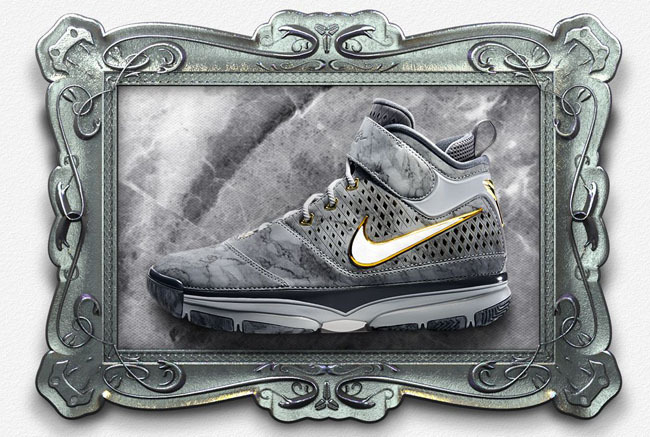 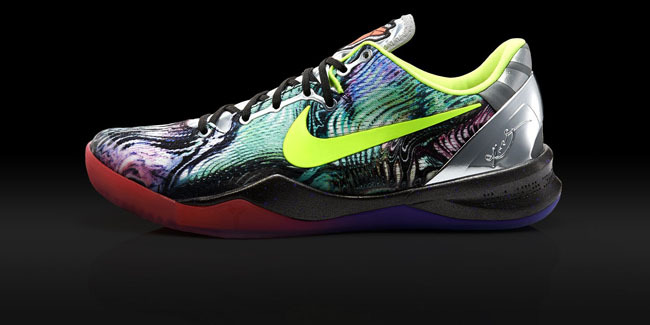 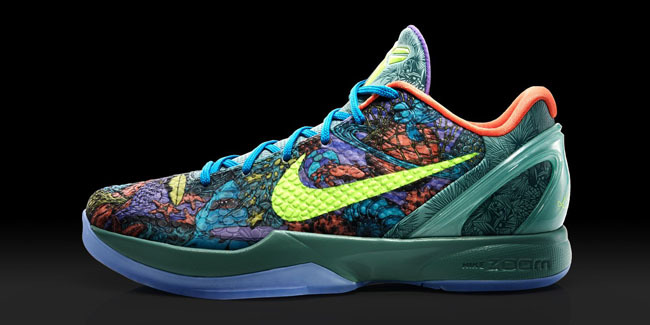 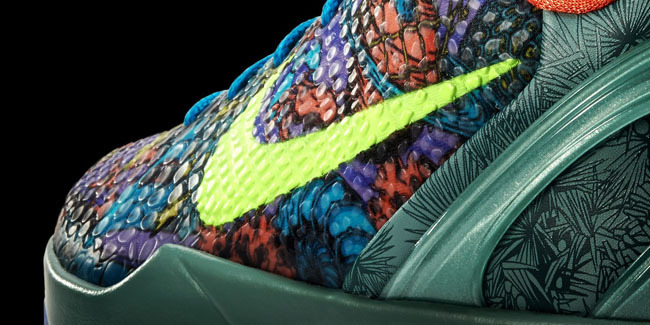 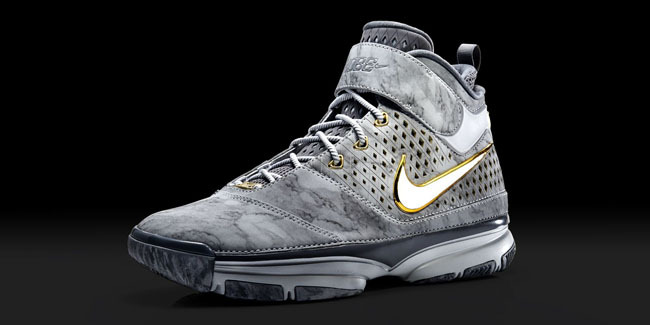 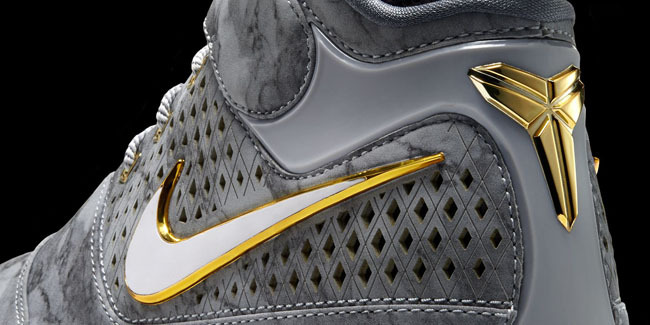 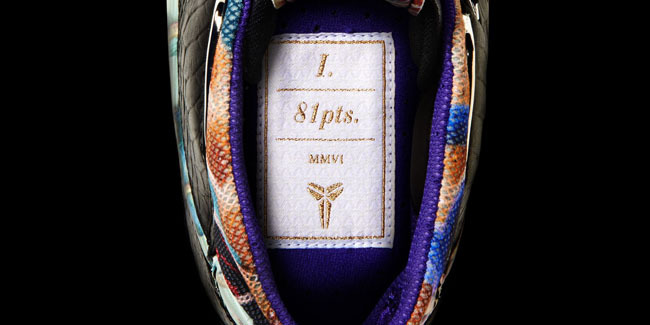 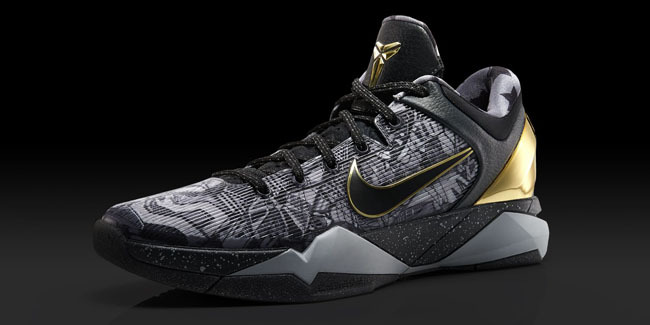 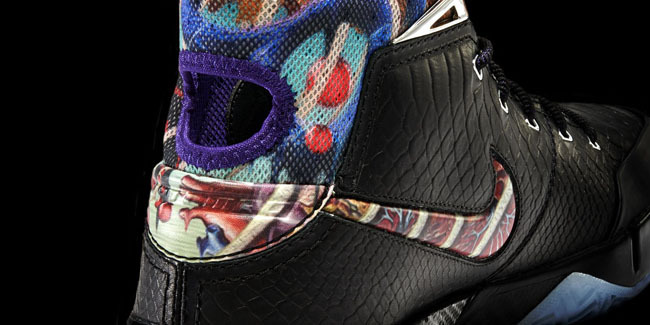 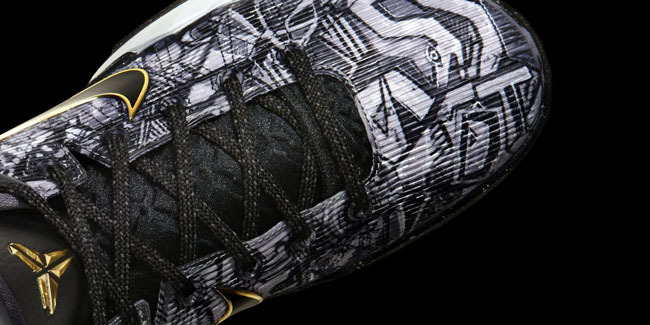 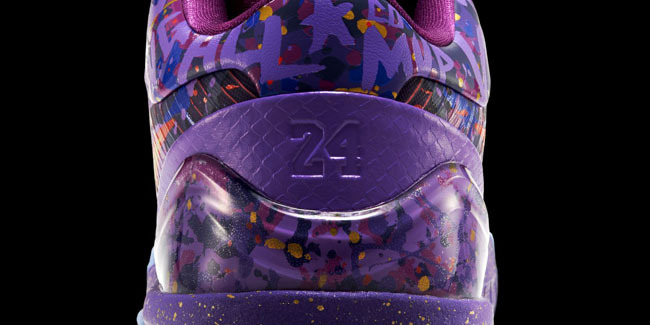 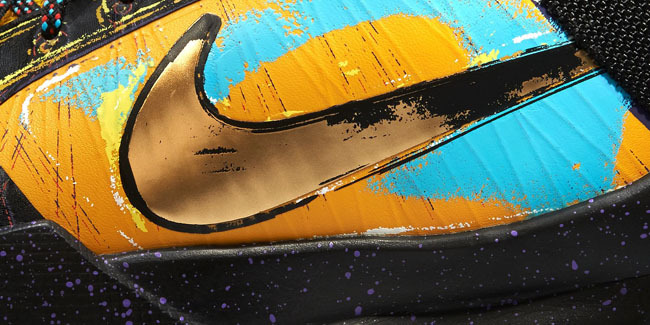 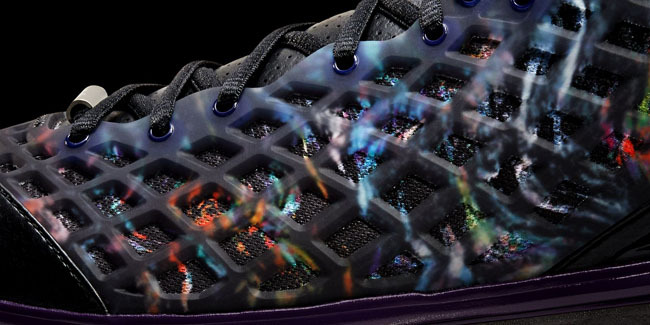 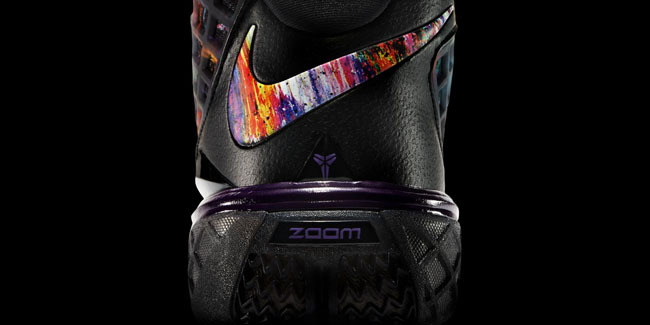 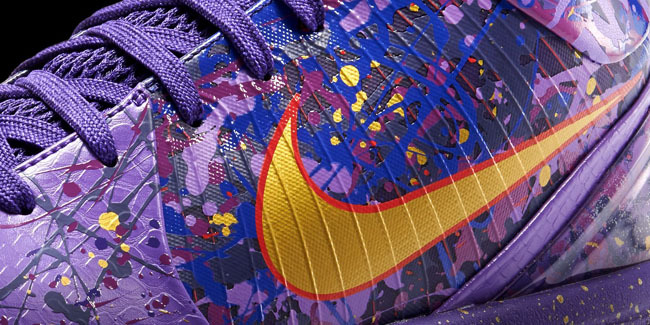 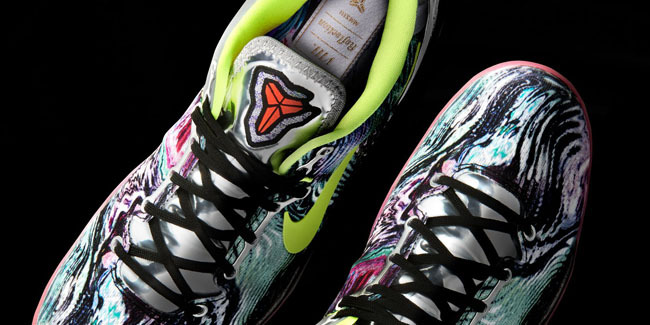 The Kobe Prelude IV commemorates Kobe's fourth Championship season. 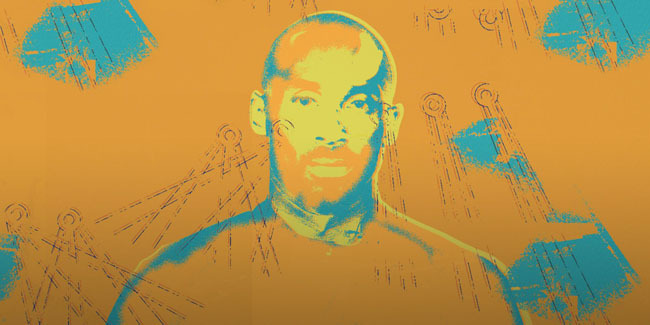 "AMERICAN MASTER: THE UNRESTRAINED PERFORMANCE OF A CHAMPION IS PERFECTLY CAPTURED WITH ABSTRACT EXPRESSIONISTIC SPLATTERS THAT COVER THE CANVAS LIKE KOBE COVERED THE COURT." 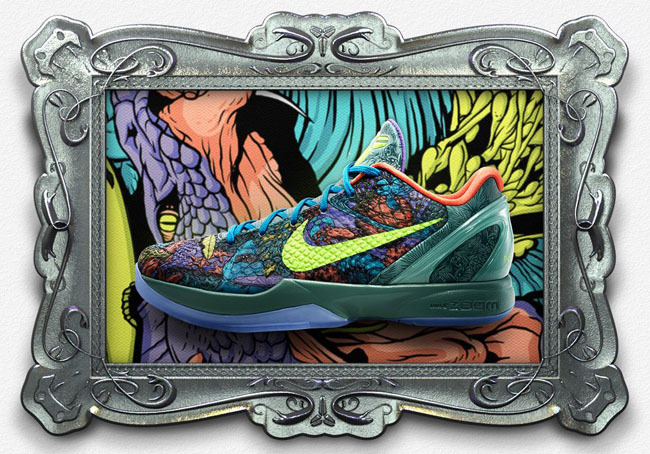 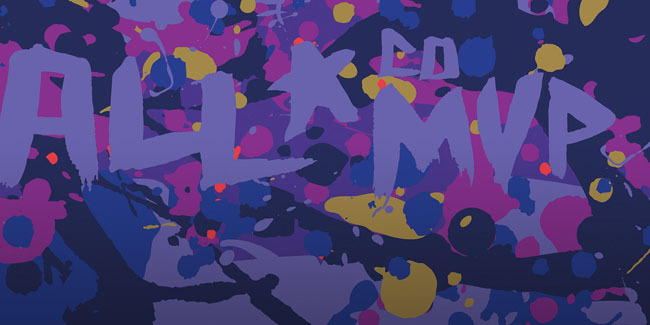 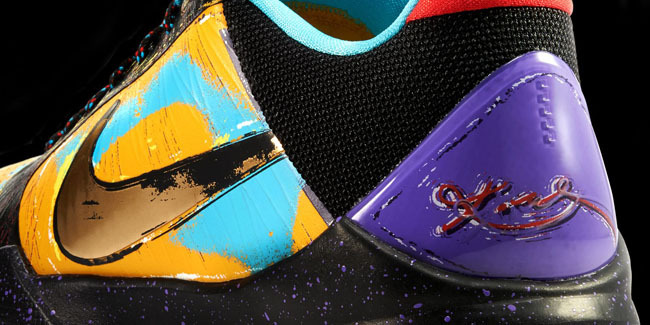 Kobe's fifth title, won against rival Boston Celtics is commemorated with this Kobe Prelude V.
"GOING POP: THE BOLDNESS OF CLAIMING ANOTHER TITLE AND SERVING JUSTICE TO BOSTON IS HIGHLIGHTED WITH THE BOLDNESS OF POP ART." 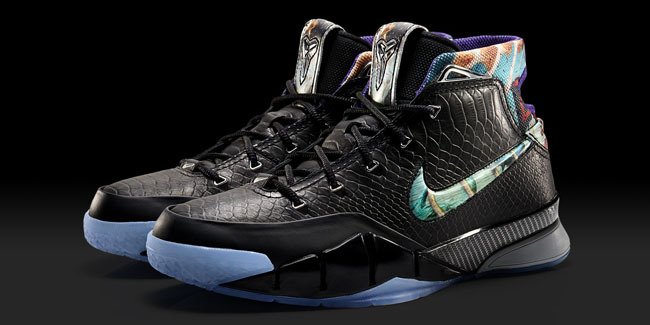 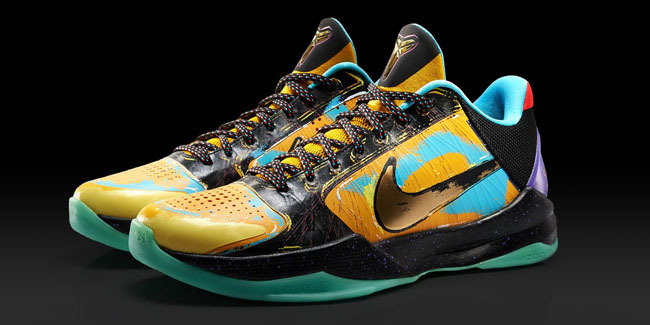 Kobe Bryant claimed All-Star MVP on his home court, while wearing his sixth signature shoe, as commemorated here by the Kobe Prelude VI. 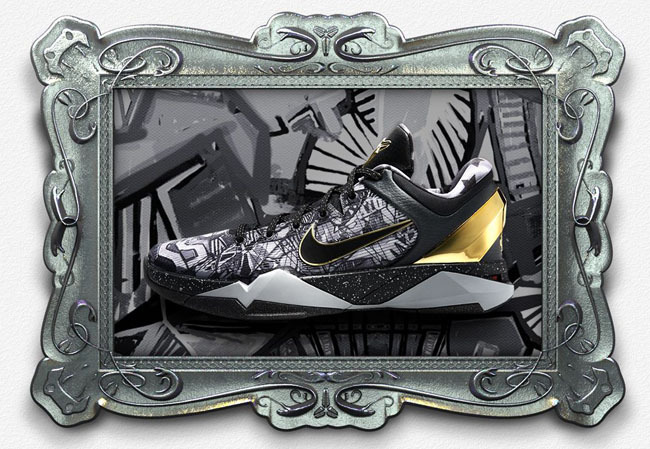 "HOME TOWN PRIDE: INSPIRED BY THE WALLS OF VENICE, THE SIXTH SIGNATURE SHOE TAKES KOBE’S HEART FOR LA AND SHOWS WHAT IT MEANS TO REPRESENT THE CITY OF ANGELS." 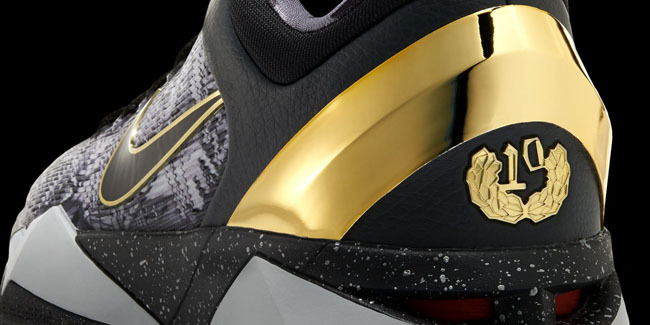 The Kobe Prelude VII helps pay tribute to his Gold Medal, won at the London Games. 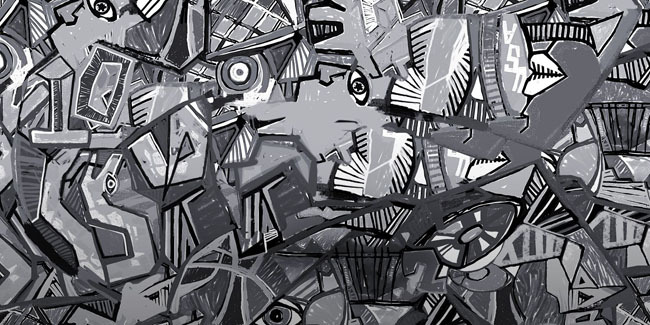 "COMMANDING CUBISM: THE FIGHT FOR THE WORLD’S TOP TITLE IS BROUGHT TO LIFE WITH A CUBIST LOOK AT WHAT IT MEANS TO PLAY FOR GOLD." 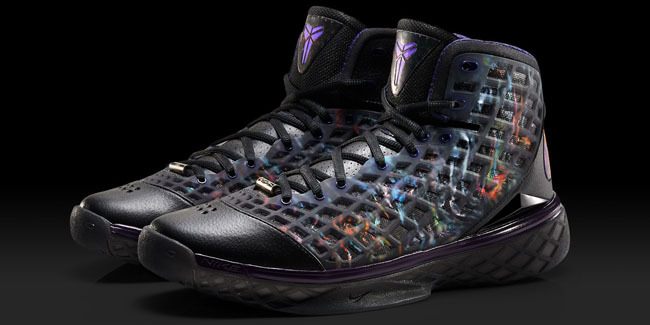 Kobe's injury-shortened season wearing his eighth Nike signature shoe inspires the Kobe Prelude VIII. 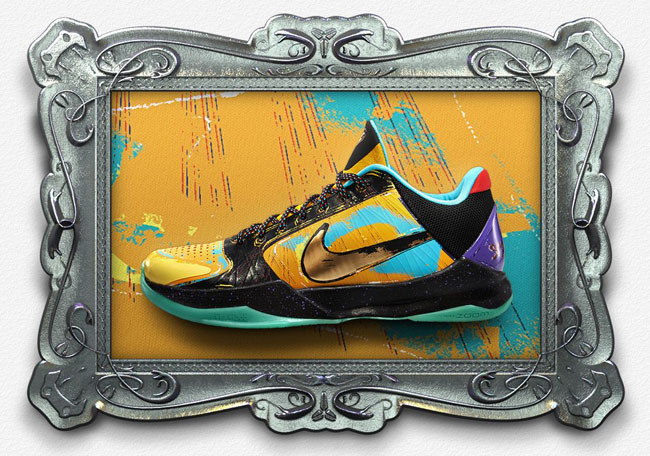 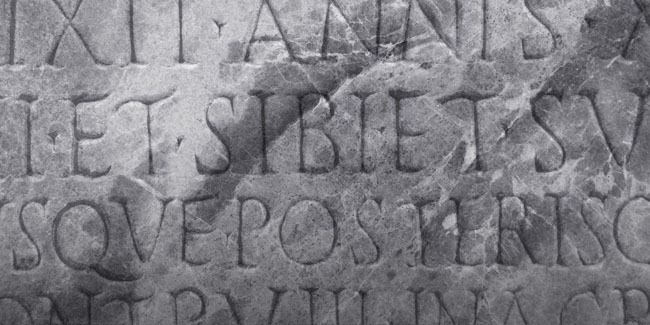 "CONTEMPORARY REFLECTION: CONTEMPORARY DESIGN ILLUMINATED A CONTEMPORARY OF THE GAME TOOK HIS TIME AWAY FROM THE COURT TO REFLECT ON HOW HE WILL RETURN TO IT."